Today, DICE officially announced Battlefield 4 Second Assault. 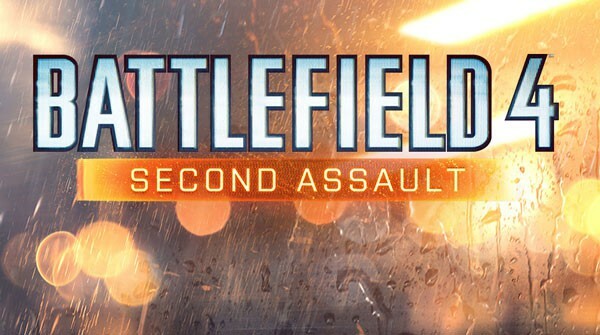 Many Battlefield YouTubers' have already recorded Second Assault footage, meaning many of you may already the new maps that are going to be in the downloadable content. However, since it's been officially announced I thought an article might be appropriate. The trailer has a story that takes place in 2016. The narrator talks about soldiers that have fought in Operation Metro, Caspian Border, Operation Firestorm, and Gulf of Oman. The narrator says that the soldiers have stated that the stories have changed overtime, giving us the main idea that the maps aren't exactly the same as Battlefield 3's maps. The narrator also says that he heard that the wars in said locations never end. But we will see how true that statement is. "Destroy the ceilings of the flooded Operation Metro. Bring down the communications tower of the new Caspian Border. Create flammable hazards on Operation Firestorm and dodge Gulf of Oman’s sand storm. Second Assault pushes the fan-favorites to their limits. With five weapons re-mastered for Battlefield 4, the return of the Dune Buggy vehicle, ten new assignments, and the Capture the Flag game mode, Second Assault combines familiar grounds with all-new features." Second Assault will be available as a timed exclusive for the Xbox One on November 22. If you have Battlefield 4 Premium, you will be able to get the DLC two weeks earlier. I think the Second Assault maps look amazing, especially the textures and surrounding environment. I particularly like the look of Caspian Border. What do you guys think of the trailer and the maps? Let us know in the comments below.